Steve began his martial arts training with Jack Morris (8th Degree) in American Kenpo in 1972 and received his brown belt from Mr. Morris in 1974. While at Boston College he studied Shotokan Karate with Kazumi Tabata (8th Degree) from 1973-1975, and competed as a team member of the Boston College Karate team from 1973-1975. BC competed against 11 other Universities in tournaments twice a year. 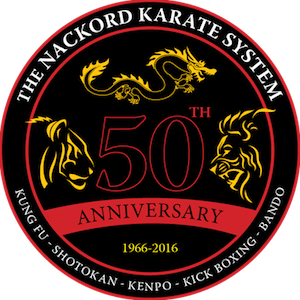 Steve began training with Mr. Nackord (8th Degree) as a black belt student in 1984 but the demands of starting a business and family required taking a leave of absence in 1985. Steve returned to martial training in 1995 and began training in Ryu Kyu (Okinawan) Kempo with Jonathan Shapiro (6th Degree). After six years, he had obtained the rank of Black Belt 3rd Degree. 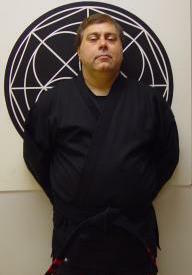 In 1997 Steve resumed training with Mr. Nackord and received his 1st Degree Black Belt in 1999. Steve has continued his training with Mr. Nackord and has, so far, achieved the rank of Black Belt 5th Degree. Steve’s primary area of interest in martial arts study and teaching is grappling, joint manipulation techniques, and pressure point applications in grappling techniques. He is also interested in application of Mr. Nackord’s Motion Science principles to general sports movement. Several of Steve’s articles can be seen on the Nackord Kenpo Karate website.